The Naica mine, Mexico, has the largest crystal we've discovered so far: a stunning mineral block 1.2 meters in diameter, 11.4 meters long, with an estimated weight of nearly 55 tons! This fantastic size is due to a slow and steady maturation through the millennia, that occured deeply (300 meters) below ground, in an amazing cave discovered at the end of the last century. 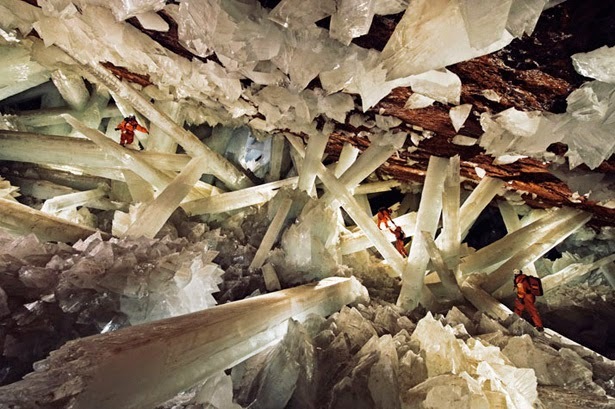 Yet the Naica mine was already known since 1910 for harboring incredible selenite crystals, some of which could reach almost a meter long, a very unusual size. Following a new borehole, however, a cave that one would think is out of the real world, was discovered in December 4, 1999, and revealed fabulous crystals several meters long and tens of tons weight. Gypsum blocks in a stately elegance adorning cave walls, sometimes big enough to cross from side to side. Those mineral aggregates, many of which exceeding 10 meters long, weighing 45 to 50 tons, question us about the belief, until then, that the crystals could hardly reaching the meter long. 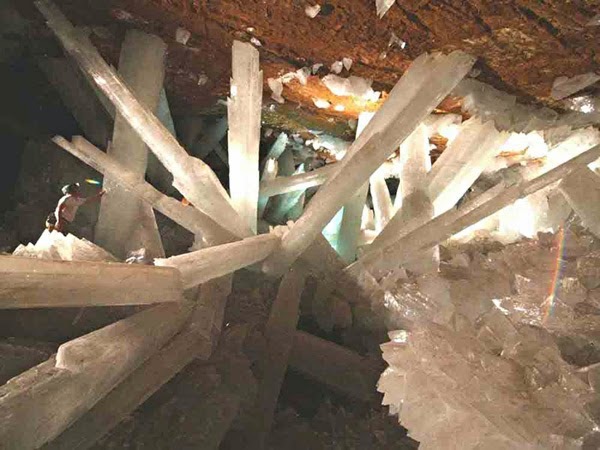 The biggest and largest of these crystals displays its 11.4 m long, 1.2 m diameter, for an estimated 55 tons weight, the current world record for the size of a mineral block. 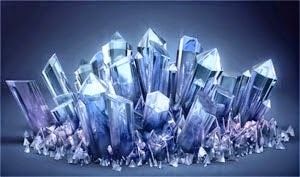 But how and why those giant crystals have grown this much enormous? Here's the explanation : the Naica mine is located on an ancient geological rift, that is constantly heated by an underground magma chamber which holds the water, containing minerals conducive to crystal formation, at a temperature of over 50 ° C. This environment, in addition, enjoyed relative stability throughout the last million years. 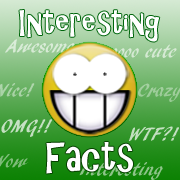 Crystals began their formation 600 000 years ago, and will continue when the caves will be filled again with water after mine's closure. img below cons: note the size of the explorer on the left of the photo. Impressive, right?